By the power vested in her by the State of Hawai’i, Calley O’Neill is celebrating 10 years of officiating custom weddings and vow renewals for guests and residents on the Big Island. 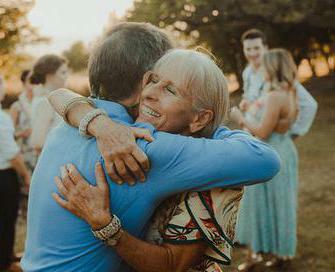 Through word of mouth, people are drawn to Calley’s work for her deeply caring, light filled, one-of-a-kind custom ceremonies. 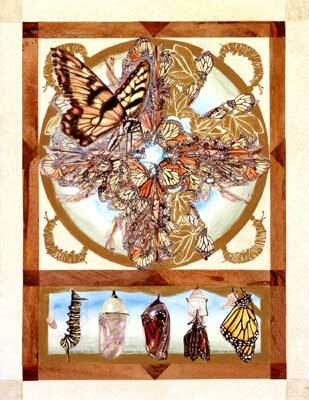 There is something that can take the ceremony to a much deeper level ~ before it begins. LOKAHI, the fundamental state of being of harmony with nature, the Divine, and Humanity. A private SACRED UNION YOGA practice including your family, bridal party, and guests. This is the 90 – 120 minute (no, no one has ever felt it’s too long) FULL BODY ELIXIR focused on cleaning your past, opening your heart, and softening into a direct experience of loving union within your own body. This is an awesome experience, especially when your ohana (extended family) participates. They do not need yoga experience, nor does anyone need to be a “yoga person”. 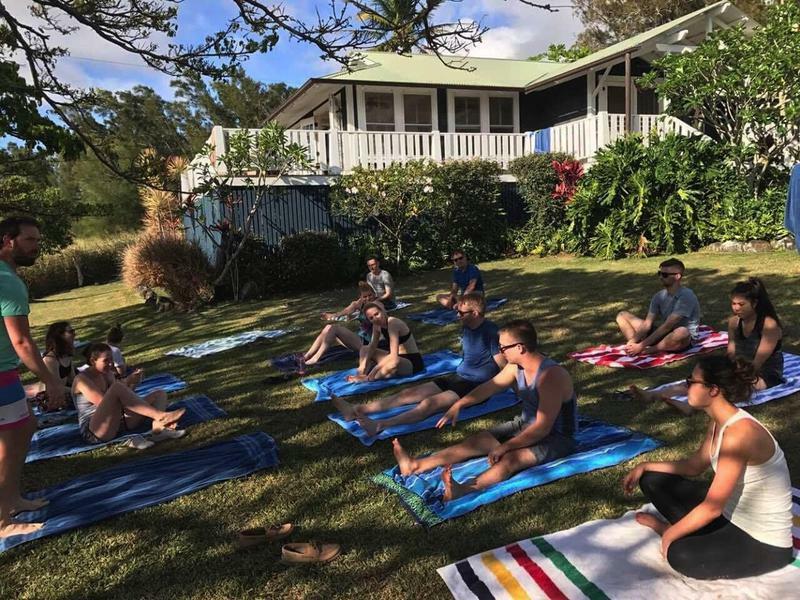 Everyone emerges feeling relaxed, refreshed, a whole lot less tight, and in the heartbeat of Hawai’i ~ which is aloha: unconditional love expressed with great benefit in your own body temple. 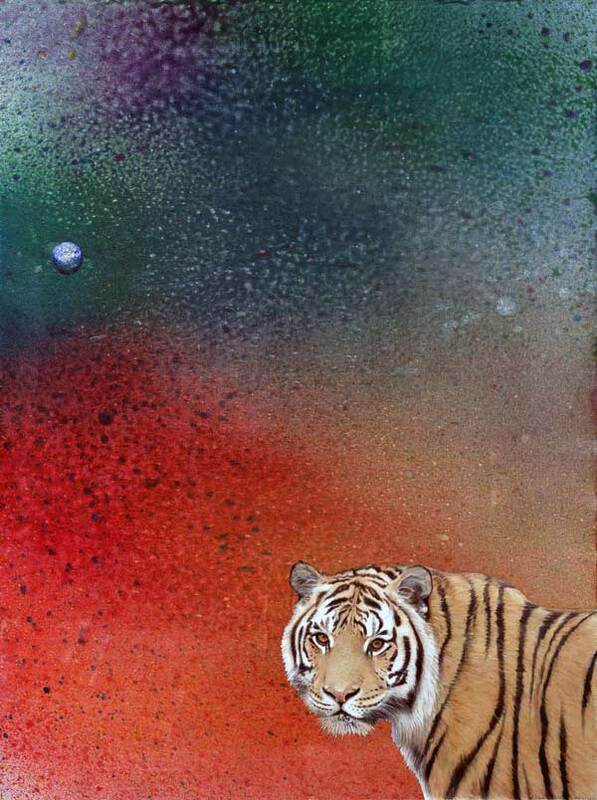 To learn more about Calley's upcoming international exhibition of interspecies art, painting with Rama, theelephant, for the benefit of endangered species, or to purchase giclees of their works, click left. For stained glass and mosaics designed by Calley, click the window above. Two hour sessions are highly recommended. You will be amazed how the time flows and enjoyment grows! Calley also does 3 hour sessions for $375. Calley also teaches several exciting different media in ART, and people love her art classes! 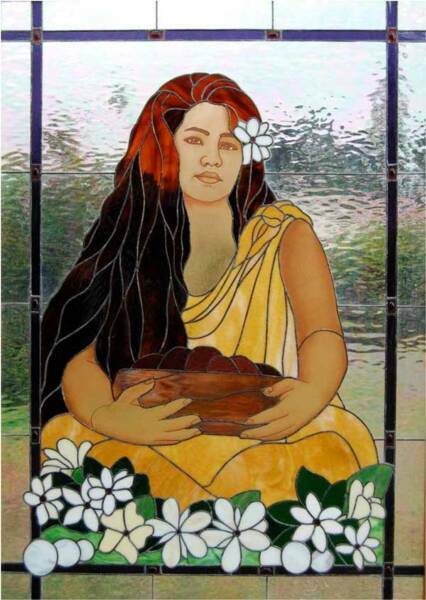 KAMA’AINA RATES: As need be, Calley offers kama’aina the opportunity to barter for a portion of the fee. No one is ever turned away because of money. We all have something to barter.